A black-and-white laser printer that prints up to 22 ppm, the Infoprint 1222 offers 300 and 600 dpi as well as 1200 image quality resolution settings. A 200 MHz processor enables fast processing of complex jobs, and the first-page-out-time of ten seconds can help increase productivity. With duplex handling as a standard feature, the Infoprint 1222 can help save paper costs, thereby enabling a lower total cost of printing. High-yield toner cartridges are available and print darkness settings can help you save as much as 50 percent on toner usage. Wireless printing solutions for the Infoprint 1222 include Wireless Ethernet and Bluetooth technology, which lets you print from PCs, handheld devices and mobile phones, and offers built-in authentication and encryption technology for secure data transfer. Citrix MetaFrame:Microsoft Windows 2000 Server Terminal Services, with Citrix MetaFrame 1.8 or XP 1.0; Microsoft Windows NT 4.0 Terminal Server, with Citrix(R)MetaFrame(R) 1.8 or XP 1.0 ; Citrix, MetaFrame and MetaFrame XP are registered trademarks or trademarks of Citrix Systems, Inc. in the U.S. and other countries. Weight (duplex base model):30.3 lbs. The IBM 4922 Infoprint 1222 is an excellent printing solution for small workgroups requiring a 20+ page-per-minute (ppm) printer that has duplex capability standard and a compact design. 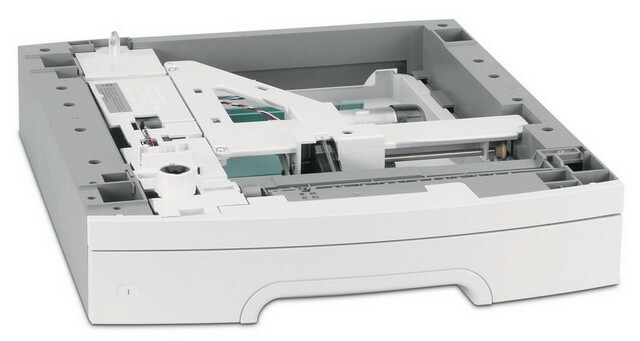 Enclosed drawers allow you to fit this printer into tight spaces, such as on a shelf or on a desktop with little room. It comes in both duplex and duplex/networking models and offers tremendous value with its vast networking capabilities, all for an affordable price. The IBM 4922 Infoprint 1222 Model D01 is a low-voltage Base model, 22-ppm monochrome duplex printer with 16 MB memory, 100-sheet auxiliary tray, 250-sheet drawer, duplex capability, 350-sheet standard input capacity, 150-sheet standard output capacity, IEEE 1284 Parallel interface, and language support. The IBM 4922 Infoprint 1222 Model DN1 is a low-voltage, Duplex Networking model, 22-ppm monochrome duplex printer with 32 MB memory, 100-sheet auxiliary tray, 250-sheet drawer, duplex capability, 350-sheet standard input capacity, 150-sheet standard output capacity, IEEE 1284 Parallel interface, 10/100BaseTX Fast Ethernet, and language support. The Infoprint 1222 is an economical monochrome duplex laser printer with the highest levels of reliability, and flexible paper options that small workgroups will appreciate. The Infoprint 1222 is a 22-ppm monochrome duplex laser printer. It supplies high-speed output, a fast 200 MHz processor, a quick first-page-out-time (less than 10 seconds), and Token-Ring and Ethernet connectivity options that are competitively priced. Wireless Ethernet printing solutions are also available. This printer comes with a one-year, depot exchange warranty, which provides the quickest available replacement if one is needed, and fast technical support solutions to get you up and running right away. The low acquisition cost combined with the Infoprint 1222's highly capable product attributes make it the ideal printer for a growing business or a large business with a number of small branch offices or small workgroups. The Infoprint 1222 is a monochrome laser printer that supports up to A4/Letter-size media at up to 22 pages-per-minute (PPM). 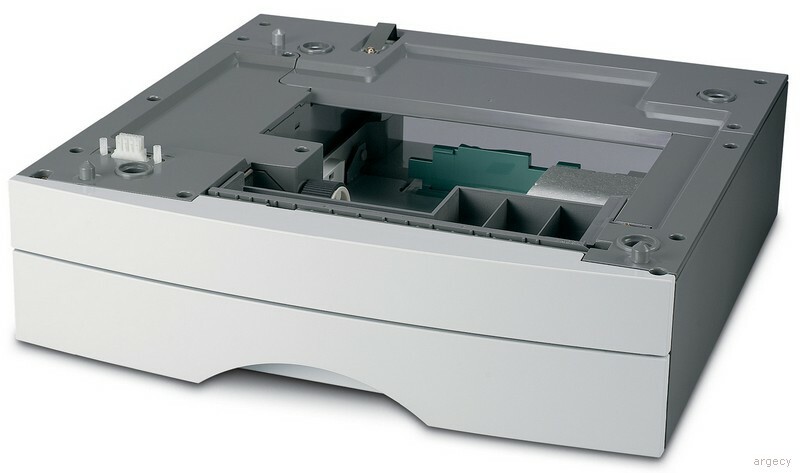 The Infoprint 1222 printer has two models, a duplex model, and a duplex/networking model. The duplex models come with 16 MB of memory, a 100-sheet auxiliary tray, a 250-sheet drawer, and duplex capability as standard. Standard input capacity is 350 sheets and output capacity is 150 sheets. Model D01 is the low-voltage model and D02 is the high-voltage model. The duplex/networking models come with 32 MB of memory, a 100-sheet auxiliary tray, a 250-sheet drawer, duplex capability, and 10/100BaseTX Fast Ethernet card as standard. Standard input capacity is 350 sheets and output capacity is 150 sheets. Model DN1 is the low-voltage model and DN2 is the high-voltage model. The printer supports up to two drawers total for a maximum input capacity of 850 sheets. The Infoprint 1222 controller features a 200 MHz ARM922T processor. It comes with PostScript 3 emulation and PCL 6 emulation as standard data streams. The base models come with an IEEE 1284 Parallel interface with atype B connector and a Universal Serial Bus (USB) interface as standard. The network models come with an IEEE 1284 Parallel interface with a type B connector, a USB interface, and a 10/100BaseTX Fast Ethernet interface as standard. The controller supports optional network connections through the printer's Parallel interface only for the duplex model. Wireless Ethernet is supported through the wired Ethernet port. The maximum monthly usage is 50,000 impressions. IBM does not recommend printing to the monthly maximum on a consistent basis. Auxiliary Tray 10 sec. <40 sec. Tray 1 10 sec. <40 sec. Tray 2 11 sec. <41 sec. All models come standard with one 250-sheet paper drawer and one 100-sheet auxiliary tray. One 150-sheet output bin is standard. See tables below for standard and maximum media capacities. Note: (2) This refers to 20 lb print material unless otherwise noted. Note: (3) Vinyl labels are not supported. Note: (4) Card stock up to 110# index, grain short recommended, card stock must be fed out of rear exit. Note: (5) Duplex printing to the rear exit is not prohibited, but may result in paper jams with some media. Preprinted forms and letterheads should be selected using guidelines found in the printer User's Guide. The chemical process used in preprinting may render some papers unsuitable for use with the Infoprint 1222. Transparencies specifically designed for xerographic copy machines or laser printers may be used with the Infoprint 1222. Infoprint 1222 complies with the global safety standard for Information Technology Equipment, i.e. IEC 60950, and its country equivalents in the markets we serve. The following sections highlight the approvals and certifications that Infoprint 1222 is expected to receive. Infoprint 1222 is compatible with applications running under the following operating systems for either local or network connections: For information about USB connections, see Local Connections. The software applications that operate with most Apple LaserWriter printers will generally operate with the Infoprint 1222. The Macintosh 128, 512, and 512e Computers are not supported. MarkVision Professional, MarkVision Messenger, NetPnP and SoftwareInstallation and Distribution tools are provided on Drivers, MarkVision and Utilities CDs. NetPnP senses when an additional IBM printer is attached to the network and automatically creates a shared printer object on the Windows NT 4.0 or Windows 2000 system. Furthermore, NetPnP notifies end-users via e-mail that the network printer is available for printing. Designed for Windows NT 4.0 and Windows 2000 environments, Net PnP makes the Infoprint 1222 printers available to end-users within seconds of network attachment. These printers are certified Solaris Ready by Sun and include Infoprint 1222 Enhanced Printer Drivers for Sun Systems and Sun specific documentation seamless installation and use in Sun Solaris environments. The IBM network printers are Ethernet-ready for use in Sun networks. NPRU will not support the Infoprint 1222. This utility will not support the Infoprint 1222. Note: (1) When installing the printer, there should be enough room to access the paper tray(s), auxiliary tray, left side door, and rear exit door. For the base model, low-voltage and high-voltage models are the same. 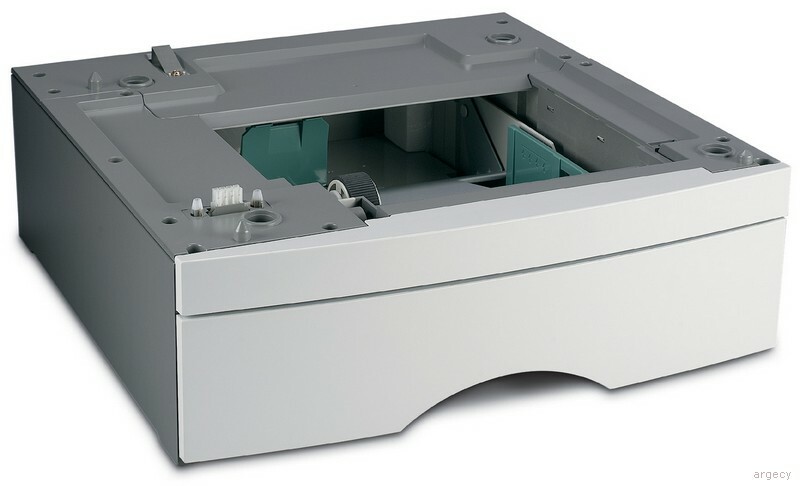 This input drawer, which includes a tray, can be installed beneath the printer to offer an added input source which holds approximately 500 sheets of 20 lb. paper. These input trays are inserted in the 500-sheet drawer and hold approximately 500 sheets of 20 lb. paper. The Infoprint 1222 has two slots for memory and flash memory features. A maximum of 272 MB of memory for base model, 288 MB for network model and 16 MB of flash memory is supported. There are no internal network connection features for the Infoprint 1222. The only local connection option for the Infoprint 1222 is the External Serial Adapter. These external Print Server features allow the printer to be connected to a network using the printer's parallel or serial port. Optra Forms is supported by the Infoprint 1222 printer using the Optra Forms 2, 4, 8 and 16MB Flash DIMM's or Optra Forms Hard Disk. Optra Forms is supported on the Infoprint 1222 using a Optra Forms flash or Hard Disk. Only one Optra Forms flash DIMM is supported. If a Flash DIMM and Optra Forms Flash DIMM are both installed, the Optra Forms DIMM will be used.